Free-standing condo with private and fenced courtyard area. Incredibly scenic lot backs to woods and a protected area! 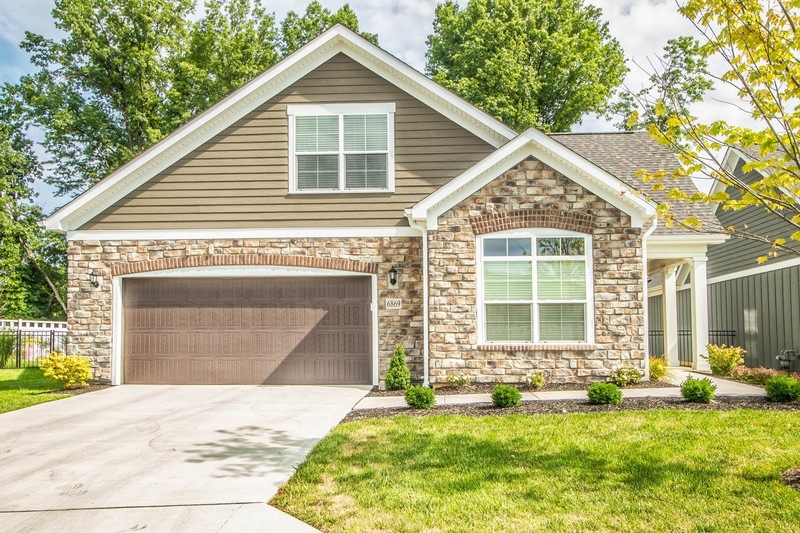 55+ community conveniently located near Polaris and Hoover Reservoir. All living areas on the Main Floor plus a Guest/Visitor’s Suite or Studio in the Upper Level. Professionally finished Lower Level has a giant Recreation area and full Bath (perfect retreat, Billiards area/Theatre or second Visitor’s Suite). Wood floors throughout most of the Main Level. First Floor Den and Laundry. Great Room has gas fireplace and French doors to a privacy patio. Gorgeous, fully applianced Kitchen has granite countertops and wrap around cabinets. First Floor Owner’s Suite has tray celling, walk-in closet and expansive shower Bath. Loaded with upgrades and extras! 3 BRs and 4 Baths. Almost 4,000 SF! Westerville schools. Only $499,900! Call DeLena Today!